Featuring a laser etched disk with “Worlds 2019, Greensboro, NC and a Trinity knot over a pair of ghillies, this snowflake will remind you of Worlds 2019 for years to come. 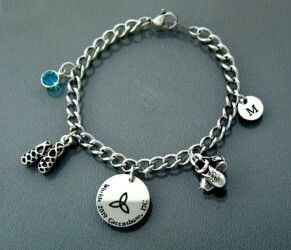 If you order a birthstone or initial, specify birthmonth and/or initial in notes at checkout. The symbol of Love, Loyalty, and Friendship is the theme for this exclusive snowflake design by Aisling Aine. 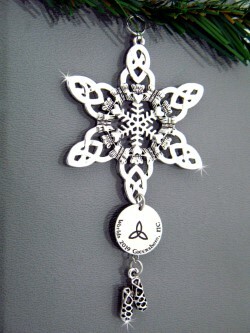 Six Claddaghs featuring classic Celtic knot-work form a circle around a finely detailed center snowflake design. This highly polished Rhodium over pewter piece measures 2 ¼” across and 2 ½” from top to bottom. 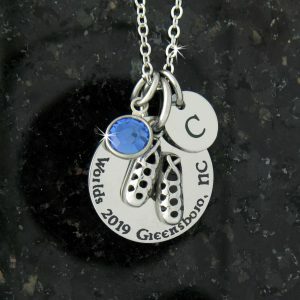 Featuring a laser etched disk with “Worlds 2019, Greensboro, NC and a Trinity knot over a pair of ghillies, this snowflake will remind you of Worlds 2019 for years to come. 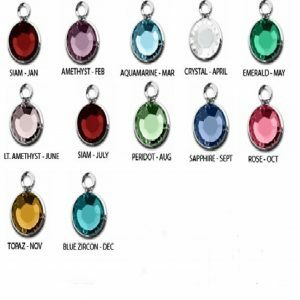 If you order a birthstone or initial, specify birthmonth and/or initial in notes at checkout.